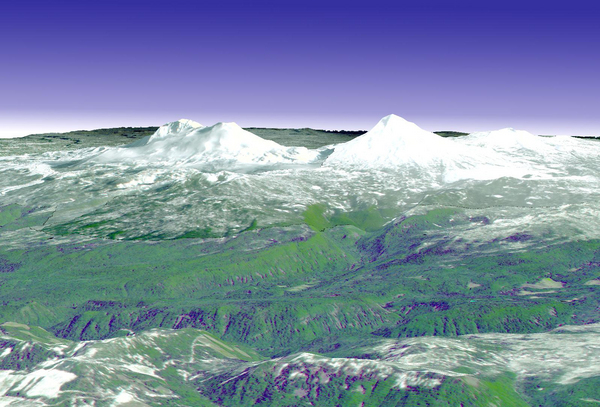 Volcanic activity is causing the earth to rise in Oregon, scientists have found. Though whether such uplift is a sign of an imminent eruption remains uncertain. As early as the summer of 1996, a 230-square-mile (600-square-kilometer) patch of ground in Oregon began to rise. The area lies just west of the South Sister Volcano, which with the North and Middle Sisters form the Three Sisters volcanoes, the most prominent peaks in the central Oregon stretch of the Cascade Mountains. Deep-sea volcanoes can explode instead of just oozing, scientists now confirm. The new proof — higher-than-expected levels of carbon dioxide in the magma from a volcano off the coast of Oregon —suggests the volcanoes may play a greater role in global climate than thought. Of all the volcanic activity on Earth, 75 to 80 percent of it takes place at deep-sea ridges in the middle of the oceans. Most of these volcanoes apparently spew out huge volumes of lava instead of erupting explosively, as many volcanoes on land do. It is a high level of gas trapped in a volcano’s magma that normally fuels explosive volcanic bursts. This level has long been thought to be low at mid-ocean ridges; moreover, potential undersea explosions would be suppressed by the crushing pressure from the surrounding water. However, based on volcanic ash found at certain sites, geologists have speculated over the last decade that explosive eruptions do take place in deep-sea volcanoes. Now researchers say they have proof. A team of scientists used ion beams to analyze the composition of materials recovered from ash deposits on Axial Volcano, on the Juan de Fuca Ridge off the coast of Oregon. Trapped within crystals from the deposits were droplets of magma containing very high levels of carbon dioxide. These droplets revealed that the magma was indeed rich in gas, at concentrations high enough to generate bubbles in the molten rock for explosive underwater eruptions. “Direct evidence for high carbon dioxide concentrations in a mid-ocean-ridge volcano was unexpected and surprising,” researcher Christoph Helo, a volcanologist at McGill University in Montreal, told OurAmazingPlanet. These findings suggest the amount of the global-warming gas carbon dioxide that is released from the deeper mantle into the Earth’s atmosphere at mid-ocean ridges falls within the higher end of past estimates, nearly 10 times more than the lowest end. That could have key implications for climate change. 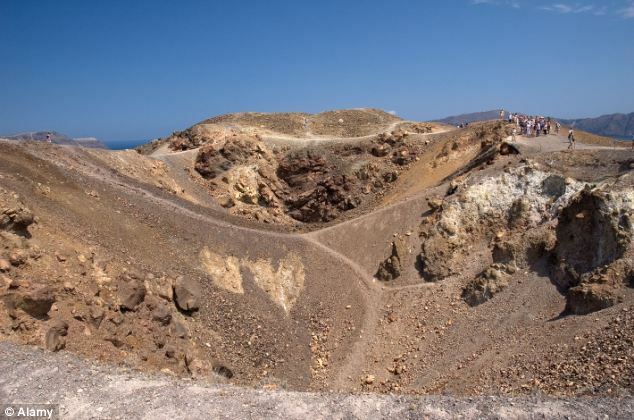 Until now, it was thought that, once a volcano’s magma chamber had cooled down, it remained dormant for centuries before it could be remobilized by fresh magma. A theoretical model developed by Alain Burgisser of the Orléans Institute of Earth Sciences (Institut des Sciences de la Terre d’Orléans – CNRS/Universités d’Orléans et de Tours) together with a U.S. researcher, was tested on two major eruptions and completely overturned this hypothesis: the reawakening of a chamber could take place in just a few months. This research should lead to a reassessment of the dangerousness of some dormant volcanoes. It is published in the journal Nature dated March, 3 2011. A magma chamber is a large reservoir of molten rock (magma) located several kilometers beneath a volcano, which it feeds with magma. But what happens to the magma chamber when the volcano is not erupting? According to volcanologists, it cools down to an extremely viscous mush until fresh magma from deep inside the Earth ‘reawakens’ it — in other words, fluidizes it by heating it through thermal contact. The large size of magma chambers (ranging from a few tenths to a few hundred cubic kilometers) explains why, according to this theory, it takes several hundred or even thousand years for the heat to spread to the whole reservoir, awakening the volcano from its dormant state. After four days of continues earthquake activity it appears that Krísuvík volcano has stepped up it’s activity by a order of magnitude. Since midnight there have been over 400 earthquakes in Krísuvík volcano. The activity is continuing when this is written and does not show any signs of slowing down at this moment. Geologist in Iceland are expecting more earthquakes in this area over the next hours and even earthquakes that are larger then ML3.0 in size. The largest earthquakes where ML3.3 and ML3.7 in size. This is automatic size by the SIL system. The depth of the earthquakes was 4.7 km and 1.1 km according to the automatic SIL system. 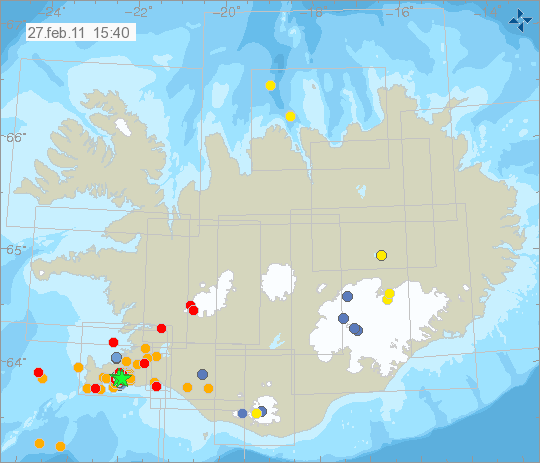 Due to high number of earthquakes the SIL system is putting earthquakes down all around the Reykjanes Peninsula. While there might be some earthquakes there, the number is not nearly as high as can be seen on the map. The earthquakes can be located by there low quality number. Fault line, won’t you be my Valentine? 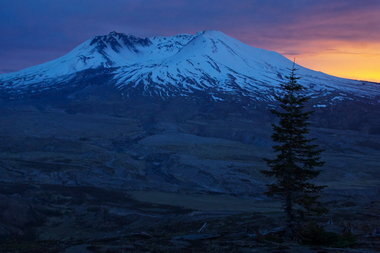 The second largest earthquake since Mount St. Helens erupted — a magnitude 4.3 shaker — rocked a fault line six miles north of the volcano Monday morning. People felt it as far away as Astoria, Lake Oswego, Hood River and even Bremerton, Wash., near Seattle. The last one, as it happens, was 30 years ago also on Valentine’s Day, a magnitude 5.5 temblor. The fissures began appearing years ago. But in recent months, seismic activity has accelerated in northeastern Africa as the continent breaks apart in slow motion. Researchers say that lava in the region is consistent with magma normally seen on the sea floor — and that water will ultimately cover the desert. Cynthia Ebinger, a geologist from the University of Rochester in New York, could hardly believe what the caller from the deserts of Ethiopia was saying. It was an employee at a mineralogy company — and he reported that the famous Erta Ale volcano in northeastern Ethiopia was erupting. Ebinger, who has studied the volcano for years, was taken aback. The volcano’s crater had always been filled with a bubbling soup of silver-black lava, but it had been decades since its last eruption.